It wasn’t just a wet month though, it was also rather warm. With a mean UK temperature of 6.8 C (1.3 C above average), March 2019 provisionally comes in 10th for the warmest March on record. Towards the end of the month high pressure brought settled, dry and sunnier weather, compensating for the rather wet first half to the month and allowing sunshine hours to creep up, especially in east and southeast parts of the UK. Overall March 2019 had slightly more sunshine than average with 115.6 hours recorded, 114% of the average for the time of year. It would appear these stories have been based, in part, on the latest Met Office three-month outlook produced for contingency planners. This outlook is designed to help planners in business and Government assess the level of risk connected to different weather scenarios. As discussed previously, the outlook is not like a normal weather forecast. It does not identify weather for a particular day or week – so is not that useful when you want to know, for example, which spring weekend looks good for an outdoor event. The outlook assesses global weather patterns and their potential to influence both temperature and rainfall for UK as a whole for the next three months. It is based on the more probable prevailing weather patterns and has to be used in the right context. It is a bit like the science-equivalent of factoring the odds on a horse race and like any horse race it’s always possible the favourite won’t win. Users of the outlook are aware of the complexities and limitations of this type of forecast, and will include those factors in their decision making processes. What does the current outlook for April-May-June 2019 say? The current outlook explains that ‘For both April and April-May-June, long-range prediction systems show small, but consistent signals, of an increase in the likelihood of high pressure. At this time of year, high pressure is usually associated with warmer-than-average weather. This, along with the tendency for higher UK temperatures seen in the last 10 years, leads to an increased chance of warmer-than-average conditions’. This far from implies the UK will predominantly experience warm, dry weather, and does not mean there can’t also be some colder spells. It is important to remember that higher-than-average temperatures won’t necessarily feel like ‘good’ weather if there are spells of cloudy, windy or wet weather.. There is also a suggestion that drier-than-average conditions are slightly more likely than wetter-than-average, but the signal is small and the likelihood of extreme weather is close to normal during this period. If you want a forecast for your area or are looking to plan up coming activities head to our forecasts pages for a detailed 7 day forecast or a 30 day look ahead at weather trends. The science of long-range forecasting is at the cutting edge of meteorology and the Met Office is leading the way in this area. As noted above, it doesn’t offer us definitive forecasts but gives an assessment of risk. Influences on our weather from around the world help to steer our weather patterns, but these influences are only part of the story, as our weather patterns exhibit substantial variability of their own. We are continuing to work hard to develop the science of long-range forecasting, identifying new sources of predictability and building better prediction systems. We are confident that our long-range outlooks will progressively improve over time. In addition, we take into account predictions from other long-range forecasting centres around the world, so our outlooks will benefit as the science matures more widely. This weekend was wet and windy and the Met Office issued several wind, rain and snow warnings for many parts of the country. These warnings highlighted the impacts the weather would bring, such as the potential for flooding. However there can often be a fine line between whether a storm should be named or not and on this occasion, the low-pressure system did not meet the criteria to become a named storm. So what are the criteria for naming storms? First, we consider the weather – how strong are the winds going to be? How much rain or snow is forecast and over how many hours? We then look at additional factors that can influence the impacts from the weather, such as the time of day or time of year – wind gusts of 60 mph in September when trees are still in leaf may have more damaging impacts than the same wind strengths in February, when trees are bare. The Met Office and Met Éireann started jointly naming storms in 2014 with the aim of raising awareness of the potential impacts of severe weather in Britain and Ireland. In its fourth year running, the project has been very successful in quickly communicating the weather forecast to people, allowing them to plan and prepare for severe weather before it hits. Especially in the age of social media, a trending storm name e.g. #StormGareth can be a very powerful tool in quickly letting people, our partners and the media know severe weather is on the way. Every year we publish the list of storm names in advance and it is perhaps understandable that some might be tempted to ‘jump the gun’ and name a weather system ‘early’, but this can cause confusion – particularly if as in this case it turns out there is no named storm. When the Met Office or Met Éireann officially names a storm we will announce this on twitter, highlight the storm on the homepage of our website and include it in our video broadcasts which can be viewed on our weather app. So next time you aren’t sure whether or not a storm is on the way, please check here! 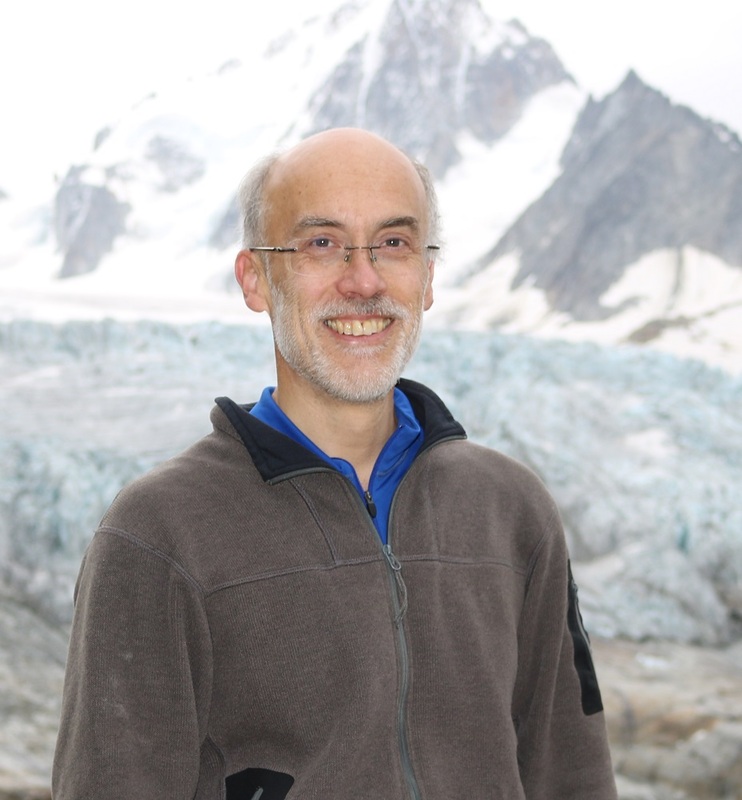 A Met Office Hadley Centre scientist has won a prestigious award for his pioneering research into sea level rise and its response to anthropogenic climate change. 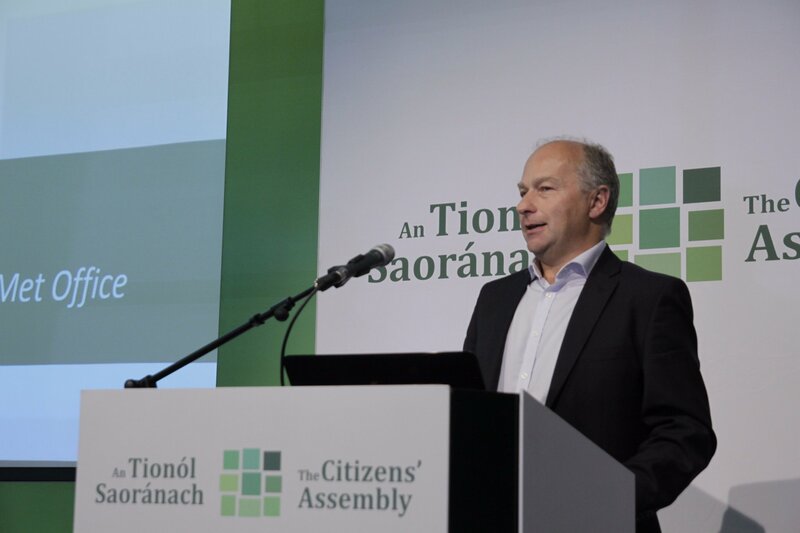 Professor Gregory contributed as lead author to the Third, Fourth and Fifth Assessment Reports of the Intergovernmental Panel on Climate Change (IPCC), in the chapters dealing with sea-level rise and ocean observation. Among other distinctions, he holds the FitzRoy Prize of the Royal Meteorological Society, and is a Fellow of the Royal Society and the American Geophysical Union. 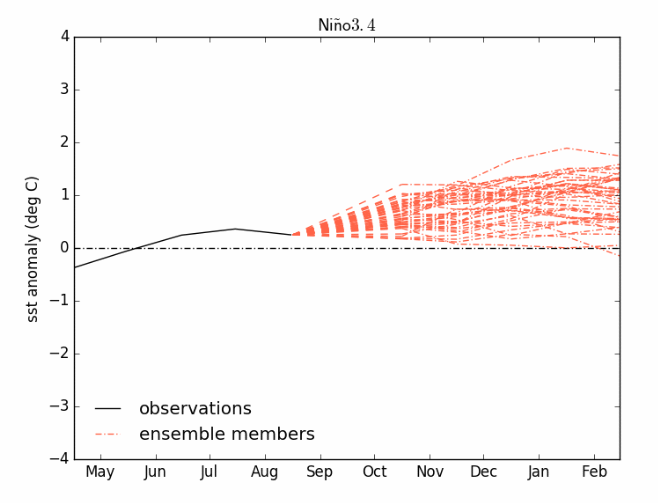 Despite seeing the first two named storms of the 2018/19 season, named by the Met Office and Met Éireann, and the remnants of an ex-tropical storm, Storm Helene, September in general was a fairly average month. The weather was predominantly unsettled, although after Storm Ali and Storm Bronagh, high pressure quickly became established giving a sunny autumnal spell from the 24th, especially over southern areas. There were some chilly nights, at times, and some early frosts in a few prone locations. The minimum temperature of -3.6C at Katesbridge on Saturday morning 29th is a new regional minimum temperature record for September in Northern Ireland – beating the previous lowest of -3.2 at Magherally, Banbridge (not far away) on the morning of September 30th 1991. Temperatures have fluctuated, with no particularly warm spells, and are averaging out to near normal for the month as a whole. Rainfall has been above average for Wales, north west England and Scotland, but rather drier than average for most of Northern Ireland, Aberdeenshire and Fife, and the south-eastern half of England. Eastern areas have had a reasonably bright month, however it has been slightly duller than average in some places further west with the UK as a whole seeing 108% of the whole month’s average. The average September followed on from a record-breaking summer, June, July and August was one of the warmest on record for the UK. June was the third-warmest and July the second-warmest in our official national records dating back to 1910, summer 2018 has provisionally been named joint warmest on record with 2006, 2003 and 1976. On September 11th the Met Office and Met Éireann revealed the list of storm names for the coming season. First introduced in 2015, this is the fourth year the Met Office and Met Éireann (the meteorological service in the Irish Republic) have jointly run the ‘Name our Storms’ scheme, aimed at raising awareness of severe weather before it hits. We saw the first named storm of the season, Storm Ali, on September 19th. It brought widespread strong winds and heavy rains, with the strongest gusts being recorded in Ireland, Northern Ireland and western Scotland, with gusts up to 91 mph in Northern Ireland, Scotland, northern England and parts of north Wales. Exposed areas saw even higher gusts with Cairngorm Summit recording 105 mph and the Tay Road Bridge recording a gust of 102 mph. Storm Bronagh was the second storm, bringing gusts of up to 78 mph to parts of England and Wales. Storm Bronagh was named on 20 September with strong winds forecast particularly for the southern half of the UK. It brought widespread strong winds and heavy rain, with the strongest gusts being recorded across the hills and coasts of England and Wales. You can keep up to date with the weather using our forecast pages and by following us on Twitter and Facebook, as well as using our new mobile app which is available for iPhone from the App store and for Android from the Google Play store. Please note that these provisional figures, especially for rainfall and sunshine, are subject to revision. Anomalies are expressed relative to the 1981-2010 averaging period. September is usually the most active month of the year for tropical cyclones worldwide, but in 2018 there were 21 named tropical cyclones active at some point during the month – just one short of the record of 22 set in 1966. 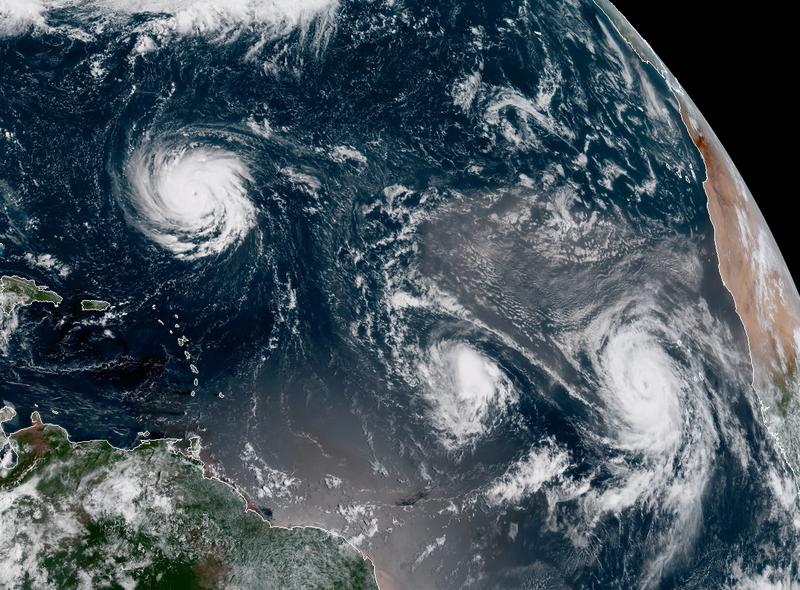 Despite conditions in the tropical Atlantic and Caribbean not being as favourable for tropical cyclone formation as in 2017, the region still saw a total of seven named storms in September, the strongest of which developed outside of the deep tropics. Florence was the most significant hurricane bringing over 750 mm rain and severe flooding to North Carolina in the USA. Gordon made landfall as a tropical Storm over southern USA and Helene remained in the eastern Atlantic and affected the UK and Republic of Ireland as a ‘post-tropical’ storm. Isaac was a weakening tropical storm as it encountered the unfavourable conditions in the Caribbean, but still brought a spell of heavy rain to some islands as did Kirk a couple of weeks later. The latter produced some severe flooding in Barbados. Joyce meandered near the Azores for a few days and as the month ended Leslie was set to move slowly over central parts of the subtropical Atlantic for several days to come. 1345 GMT 10 September 2018 (Credit: RAMMB/CIRA). The eastern Pacific hurricane season in 2018 has been very active. In September Hurricanes Miriam and Norman remained far from land, but Olivia brought heavy rain and flooding to parts of Hawaii as it weakened on its journey into the central Pacific. Paul was a weak tropical storm, but as the month ended Tropical Storm Rosa, formerly a hurricane, threatened to bring flash flooding to parts of north-western Mexico, southern California and Arizona after landfall. Tropical Storm Sergio is expected to become a hurricane over open waters during early October. The month started with Typhoon Jebi bringing strong winds and rain to parts of Japan. Mangkhut developed soon after and ploughed a track across the northern Philippines as a powerful typhoon causing loss of life and severe damage from wind and flooding. Mangkhut went on to also have severe impacts over Hong Kong. Barijat reached southern China as a weak tropical storm, but the next in line was Trami which became another powerful typhoon. After moving slowly for several days east of Taiwan, it eventually crossed the Ryukyu Islands and into the main islands of Japan at a similar location to Jebi a few weeks before. As the month ended, Typhoon Kong-rey looked set to head towards Japan or South Korea during the first week of October. 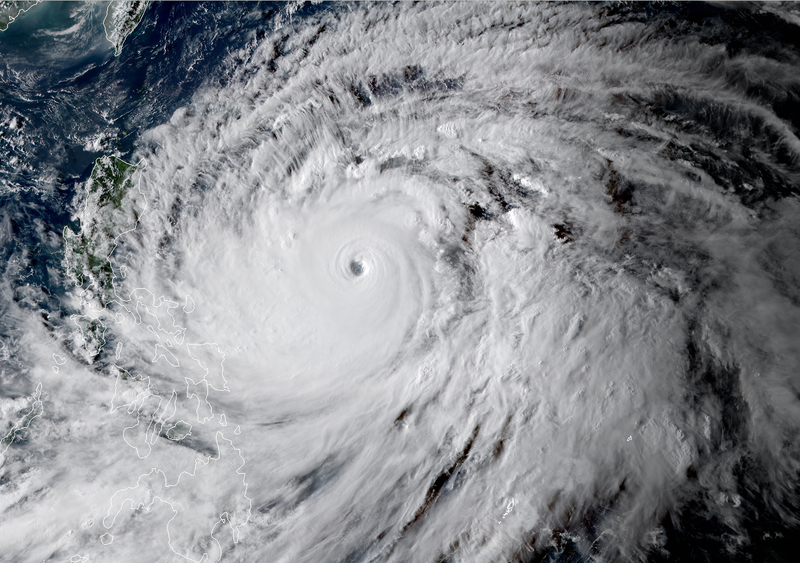 Typhoon Mangkhut seen at 0800 GMT 13 September 2018 (Credit: RAMMB/CIRA). Walaka became the first storm to be named in the central Pacific region for two years and quickly developed into a hurricane. In the Bay of Bengal a depression strengthened into Tropical Storm Daye just before landfall and brought flooding impacts to parts of India. There was also an unusual September tropical storm in the South Pacific near the Solomon Islands named Liua. In addition to the named tropical storms described above there were other weaker tropical depressions in the Atlantic, east and west Pacific and the south Indian Ocean. Finally, the Mediterranean saw what is often referred to as a ‘medicane’, which made landfall over Greece as a likely tropical or subtropical storm bringing severe flooding to some regions. Since this was not officially named by any tropical cyclone warning agency, it has not been included in the total of 21 named storms for the month of September. Follow our Twitter feed @metofficestorms for regular information on tropical cyclones currently active worldwide. 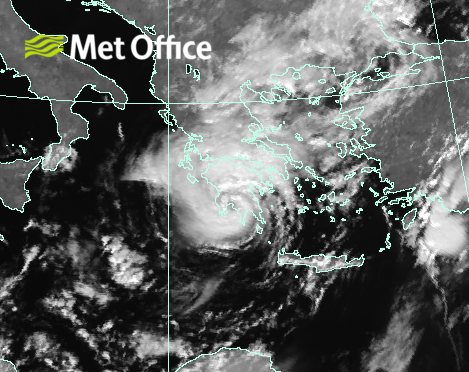 A strong storm developing in the Mediterranean Sea, frequently referred to as a ‘medicane’, has been making the news in the last couple of days, but what exactly is a ‘medicane’? There is actually no official meteorological definition of the term ‘medicane’, but it is often used to describe a deep area of low pressure which forms in the Mediterranean Sea and acquires characteristics of a tropical cyclone and sometimes has the appearance of a hurricane. Tropical cyclones are distinct from low pressure areas which form at higher latitudes in that: they derive their energy from the warm ocean surface; do not have warm and cold fronts associated with them; and have their strongest winds and most intense storm activity close to their centre. 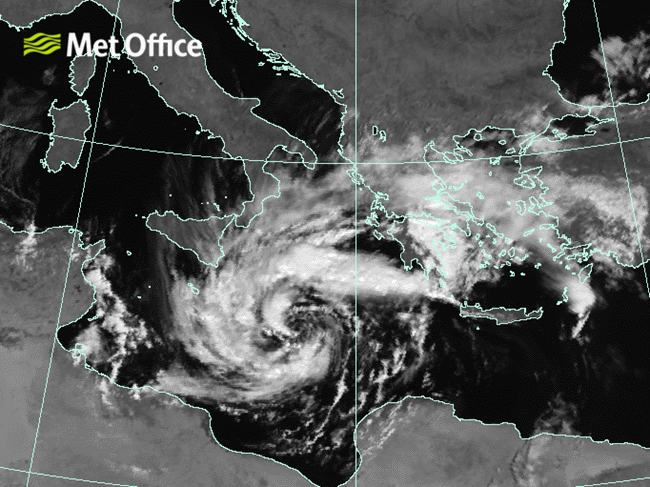 Storms in the Mediterranean Sea which exhibit some characteristics of a tropical cyclone are not particularly rare. The last example, in November 2017, produced flash flooding over parts of Greece. Similar storms also occurred in 2016 and 2014 bringing strong winds and heavy rain to Crete and Malta respectively. Tropical cyclones are named by designated regional warning centres around the globe. Whilst the US National Hurricane Center decides when to name tropical cyclones in the Atlantic, its jurisdiction does not cover the Mediterranean Sea, so there is no official list of names for storms with tropical characteristics in this region. However, various names have been colloquially applied to the current storm in the Mediterranean Sea. What will its impacts be? Paul Hutcheon is a deputy chief meteorologist at the Met Office. He said: “Regardless of its definition, the storm in the Mediterranean Sea is expected to bring some major impacts to parts of southern Europe over the weekend. “This deep area of low pressure is already producing storm force winds across parts of the Central Mediterranean, with these winds building very rough seas that could impact marine transport. “During the weekend the storm will move east across southern Greece and into western Turkey, although the winds will slowly ease as the storm weakens. However, strong winds are still likely to affect parts of Greece, with very heavy rainfall expected from thunderstorms affecting Greece and western Turkey. The animation above – produced on 28 September 2018 – shows the expected evolution of the medicane weather system. Follow our Twitter feeds @metoffice and @metofficestorms for more information on the Mediterranean storm and tropical cyclones currently active worldwide.